There is a spiritual war taking place at every instant and it’s good to be aware of it. We normally see only a fraction of reality, there are forces of light and darkness existing beyond ordinary view and they affect each of us and society. Although mostly unseen, darkness extends itself throughout the world like the giant tentacles of a sinister octopus. This influences people in important positions, whether they are aware of it or not. 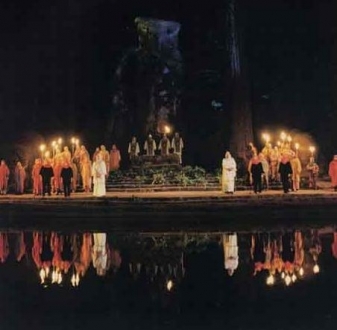 Some of the most respected, powerful, and influential figures in Western society meeting at Bohemian Grove. Anything that attacks, marginalises or supresses the light of authentic spirituality is liable to be supported by forces of darkness in various ways. Often manipulating people through their emotions (ego states) from beyond the physical world and influencing them usually subconsciously through interference in their dreams. Sometimes when trying to do good a great deal of harm can be caused and so even good intentions get used by forces of darkness. Some people for example, are working to create a world based upon globalist values and yet one of the outcomes of this is the suppression of religion and its replacement with humanist atheism. This was prevalent in communism, whose agenda was globalist and there are similar goals stated in many doctrines, most evidently from the Bavarian Illuminati to Marxism and onwards to the present day variants of globalism. Another similar outcome, which is being openly promoted is the formation of a one world religion. Of course it excludes smaller religions and forms of alternative spirituality. Instrumental in the creation of a humanist atheistic belief system has been the media, Hollywood, and the education system, and these are open to sinister, covert influences. Some atheistic values are based on theories of consciousness, but they actually suppress esoteric teaching and the expansion of conscious perception. That is, people are being stopped from getting the information that will help them to perceive reality. Ironically, many of the strongest supporters of this form of atheism are actually involved in supposedly uncovering truth in society and life. Yet in fanatically opposing spirituality they become unknowing agents of the very system they are trying to uncover – with many of them being just as fanatical in their witch hunt as the most avid religious believer. A certain kind of watery “spirituality” is allowed in this mindset, one that doesn’t dig too deep and doesn’t shake off the shackles in perception that blind humanity to seeing reality; society doesn’t want us to see, it wants us to conform. 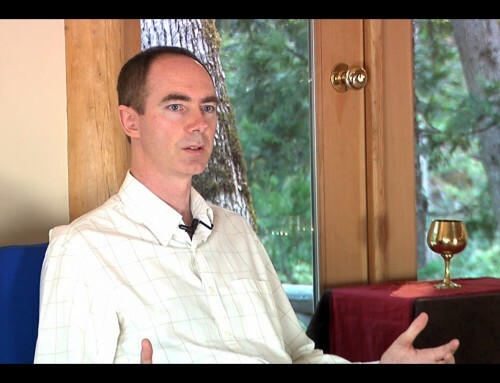 Well hidden are practitioners of dark esoteric knowledge, who are influencing society. They are not just a group of people with a set of beliefs or just rituals, as people tend to believe modern day Satanism operates. These are adepts of dark knowledge who travel out of their bodies to converse with those who have awakened in evil in the underworld, and they influence religion. This is the root of the darkness affecting the world: it’s not simply a matter of following the money, but following the spiritual/religious influence to that underworld. At most levels of society, and in most power structures, there are religious influences that can be positive or awful. Some societies are based around religions, but there’s a distinction to be made between religious teachings and sinister infiltrators. 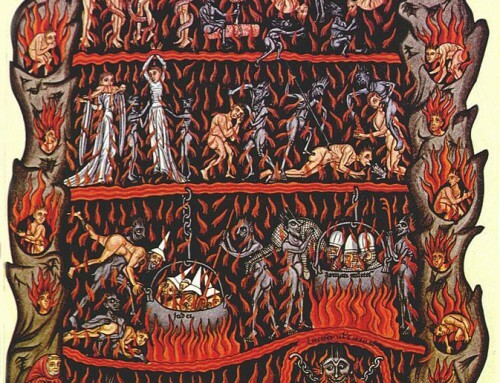 The most powerful of these have adherents that go out of their bodies to the underworld as disciples of darkness. Many esoteric symbols in use today have their origins in ancient times, but people are often confused about the meanings of ancient esoteric symbols and teachings as most don’t have the appropriate kind of esoteric experience to actually know what they are symbolic of. This has given rise to a persecution of esoteric knowledge as many believe it to be evil and essentially the same as Satanism, but this is false as there is a difference between white and dark knowledge – they are opposites. Prevalent ideas of this kind have given rise to the ideas that a hybrid human/extraterrestrial race was created to mine gold and its descendants have been governing society since the times of ancient Sumer. But that’s a likely misinterpretation of what is pretty standard esoteric symbolism. 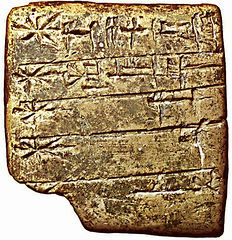 There is an interesting study of Sumerian texts by A.R. George that’s available for free download: The Babylonian Gilgamesh Epic: Introduction, Critical Edition and Cuneiform Texts and they are normal spiritual texts for their day. Another common misinterpretation is that the Archons (a term used in Gnostic texts such as the Nag Hammadi Library) were evil, but Archon means ruler, and in Gnosticism Archons are both good and bad. It’s easy to draw conclusions about the symbolism of the past, but to understand it’s nature requires going through essentially the same spiritual processes ancient peoples went through, and doing this reveals that the symbolism of the past is as alive today as it was then, since it’s a universal language of higher dimensions. The spiritual teachings of ancient peoples are most often accounts of their spiritual experiences out of the body and their representation of the process of enlightenment. Because the process of enlightenment is real, cultures from around the world have conveyed it according to their time and circumstances, which is one of the main reasons why the same symbols appear around the world in apparently unrelated cultures. This is not to rule out times of shared worldwide communication or extraterrestrial influence, but it’s important to know the esoteric to be able to separate it’s message from other information of the past. 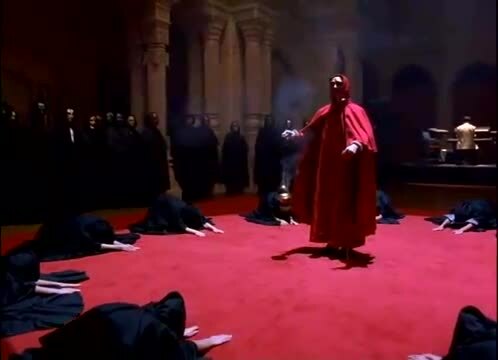 Some societies carry rituals that have good not bad origins, which contain genuine esoteric ceremonies and knowledge, but many of them have lost track over time as their practitioners lost the practice of white knowledge and became taken over by people with interests in power and money, becoming gentleman’s clubs of connections for power and influence. And it’s not just secret organizations that link with dark forces, as by its nature the connection with darkness is within every person and in everything that partakes in evil actions. Getting information about the darkest influences at the head of the octopus is difficult to do, but not impossible. A lot can be discovered by investigative research, but the actual root can be discovered with a different kind of investigation – by exploring out of the body. It’s possible for practitioners of esoteric knowledge to go down the rabbit hole of darkness to the origins of evil and discover how the influences of darkness work upon society. You can then see how sinister forces and their influence filter into the world. I wouldn’t advise anyone to try this without the proper esoteric preparation though – it would be harmful and even impossible without it. It’s like trying to go to the depths of the ocean without adequate training or a suitable diving suit. The pressures are too intense, making it impossible and dangerous for most people to even attempt or get far with. Instead of being ignored and censored by and for the public in an agenda to stamp out esoteric knowledge in a spiritual war, esoteric knowledge and practice can actually help the world. However, if genuine spiritual principles continue to be sidelined, there will never be an effective counter to darkness, as humanity will continue to fight an unknown enemy and one oppressive regime will eventually be replaced by another, no matter how lofty the founding ideals once were. Incredible article, thank you. The intelligence, experience and objectivity that shines from the articles is awe inspiring. To speak with such authority on these subjects without coming across as directly confrontational is very rare today and a real treasure to be able to read. There is so much darkness in the world, ignoring it won’t make it disappear – it won’t help people suffering from darkness, and to get fascinated with it, will just give it more power. It is not always clear how to act against it now, or in the long run. Thank you for bringing to us your insight, Belsebuub. Something which I found (I am sure you are aware of it too) is how much role rituals play in channeling energies into symbols…It seems to be possible to take any universal symbol, or a combination of them, and adapt them to work for Good or Evil. Astral experiences help me a lot to learn about it, but when possible to explore things in the physical, it is more challenging, but makes things more clear and obvious. In Rome, there is an old Mithraeum preserved under the San Clement church and used nowadays as a museum. I went there and followed the dark tunnel which kept descending, it really felt like going into the underworld… But nothing felt bad or evil. When I went all the way down, I found the chamber where they seemed to run their activities in ancient times. Right in the middle of it, there was a powerful depiction of Mithras slaying the bull. (and Mithras being born out of stone) It was such a wonderful inspiration to me to go into the depth of my subconscious and get rid of my egos, as well as a symbolic instruction on how to do it. After that visit, I was aware and inspired. From another hand, in Asia, once I was in a certain place where stairs ascend towards the huge limestone cave, where are temples and people do rituals. There was a certain temple there, where I felt like vomiting because of the dark energies. I felt concentrated darkness. After walking through that particular place, it was hard for me for a while to be aware. It was obvious to me that whatever are their beliefs, people do invoke negative beings there, and those beings bring people into darkness. I perceived the whole symbol of “ascending into that cave”, as going consciously into evil, and felt getting out of it as soon as possible. Thank you for writing this article Mark. There are some very dark forces at work on our planet. The worst is the practice of ‘Satanic Ritual Abuse’. For the International Common Law Court to succeed they need the support of conscious citizens across the planet. I have found that it’s so important to fight against the temptations of this world and stand together by being active for the good of humanity. Divine spiritual knowledge and Esoteric symbols can not continue to be suppressed if we all work on ourselves and take a stand for the Hierarchy of the light. The true Wisdom we can receive from the Light is the very thing they want to control. I really hope that many will be victorious over temptations. This article inspired me to read another great article which is included below with an extract worthy of serious attention. Thanks once again for highlighting some of the root causes of the mess we see unfolding in the world today. It’s also always encouraging to be reminded of the inner work one can do to augment the fight for truth that ultimately leads to a dead end without that corresponding inner search. Thank you for the article, Mark! It really does not take much nowadays for most of us to feel the pressure of the darkness upon society. Thank you so much for this article. I hope many realise this sad reality & do what you say is possible “wake up, empower themselves, and take the shackles off”. I have seen negative entities in the astral on a number of occasions, and unfortunately they really do exist. They poison the environment with awful energy & feelings of despair. Thank you for exposing these matters and facing this darkness. I feel that objectively learning about the reality and striving to see things as they are, can give strength and a lot of motivation to correct one’s behaviour and to dig deeper into own psychological makeup. Every action has a corresponding consequence, and many will choose and justify ignorance, often forgetting that there are many levels of not knowing. It is also sad that people have become narrow minded, negative towards anything that is outside of ones experience. But then how anything truly new can be ever experienced and understood? Thanks for another eye-opening article Mark. I’ve really noticed how society has become more and more anti-spiritual over the years. But it’s really sad that as well as making society more atheistic, negative forces also work through religious institutions, which inhibit or suppress alternative forms of spirituality. 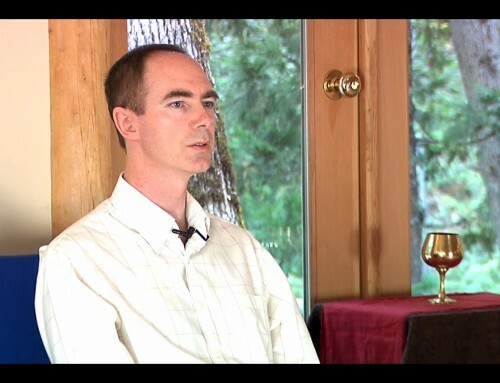 So those looking for spirituality have a limited choice and those choices are controlled or influenced. It seems as if fanatical followers within major religions are used and manipulated to persecute alternative spirituality. This happens now and has happened throughout history. But when society becomes atheistic enough, it seems that even those dominant religions may be discarded with, so that even the limited religious teachings they offer won’t be available. So by persecuting others the followers of those religions may be contributing to their own demise without even realising it. It really is a diabolical mess. In a dream I once saw a dark entity influencing people just by being present around them. Emitting this negative vibe that was scary and through which he was trying to cause people to act according to his will. There was something very evil in this effort. I woke up in the Astral and I looked what he was doing. I decided to act free from his influence and he realized it right away, he looked at me with his dark eyes and his vibe became stronger. I woke up in fear. I wish I had more strength to deal with him. Thanks Mark for this article and others you have written on the topic. They have helped me to have a better perspective and appreciate more the work you describe in your books as a chance to break through this evil that is currently so encompassing. It seems to me that if I don’t try to fight against the current of this evil vibe inside and outside of me it will eventually consume me along with so many others. As if the alternative to conscious inner change is not just ”normal or non-spiritual life” any more but the submission to a repulsive evil force and its sinister agendas that I do not wish to be part of. Thank you very much Christos for sharing this! I think we can see this in physical too, when there are some laws or ways of doing things that are harmful, but people are afraid to question them out of fear. The more they start to dig into it, the more darkness is spilled on them, but if they persist, they actually have a chance to win and change things. To see this principle personified in just one evil entity must have been incredible to witness. I always imagine how these personages and forces are consciously influencing us from behind this world, spreading these evil vibrations everywhere, paralysing people through fear or just simple uncomfortable feeling. Thankyou Mark, for this post. Recently I have been investigating the not-so-subtle way that science is taught to students: making light of what they deem ‘pseudo-scientific’ practices and then denigrating them in rather derogatory terms. This forces students to take a ‘black vs white’ approach to science vs the inexplicable, which can only be harmful to the minds of youngsters, alienating them from the very things you mention here on this site. Thank you in particular to the link to Giglamesh. What is written in this article is well worth an individuals time to research. Another superb unmasking and clarification of evil versus good. I think many people shudder in fear at the real truth of the matter, because they don’t have the ability or techniques to directly prove and ‘know’ what is good or evil. So they/we easily get trapped with intellectual analysis to cloak feelings and emotions of fear and vulnerability to the unknown. The intellect becomes a protection mechanism and facade, hiding pride, fear and ignorance. Ironically such protection becomes a blockage to really knowing. Intuition and spiritual yearning if strong enough would keep some looking, but it seems many get caught by fear controlling the mind and pouring out self affirmations, until we become dis-empowered by our own self hypnosis and fake beliefs. Mark very interesting and helpful your article and generally the whole series of relevant articles. Thank you for sharing this with us. One can realize how serious is this problem that means the assault from underworld against the people and the humanity on the surface of erarth in order to enslave it. It seems that these negative entities with their black agenda win day by day in the society with a cynical way, telling lies one after other, in order to unfold their dark plans. I think nowadays, easily and very often one can see this. From the other hand a big percent of people not only isn’t becoming aware of this sad situation but also justifies intensively the organizers and orchestrators of these dark plans. What a pity! So, it is very encouraging for someone reads a series of articles that steadily and clearly opposes against this hostile situation. I thank you all of you that work in this direction and uncover the dark machiavellian plans and purposes. 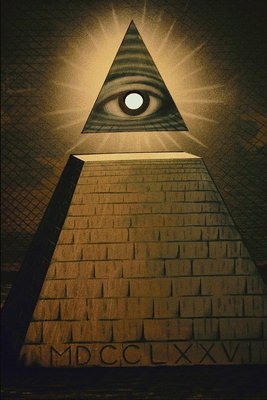 In relation to this, I noticed for example that there are people who are trying to uncover the evil in the world and the ruling elites, but after seeing all those weird rituals the elites are doing, etc., these people tend to condemn all esoteric knowledge as a whole, thinking everything ‘esoteric’ must be evil. I believe some must do it ignorantly, due to their fear and/or lack of this kind of knowledge, but some may also do it consciously, igniting others against the deeper forms of spirituality, presenting it as dangerous, etc. I also thought that there may be deeper reasons why those elites are so ostentatiously displaying their rituals and all kinds of weird things that they must know will have strange effects on a common person. I thought the agenda may be to activate exactly those currents in society that are afraid of everything connected with deeper spirituality, and put these fears to use in order to ban everything esoteric (as they have already started with the Censorship issue). It almost seems sometimes as if those forces were displaying all the dark things so visibly because they are trying to somehow ‘claim their territory’, putting their marks on everything from clothes to movies, etc. , maybe trying to see how far they can go…? Thank you again for “checking your drafts” and really looking forward to the next ones. I’ve been thinking the same things as you Lucia. 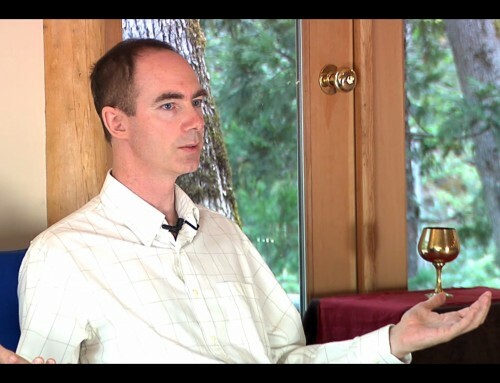 Looking into work by various people in the truth movement there seems to be heaps of anti-spirituality sentiment, with people who are supposedly fighting for freedom strongly supporting people who are condemning alternative spirituality. Sometimes it’s also more insidious and kind of slipped in where it could easily be overlooked, for instance a reference to psychic faculties or spiritual experience or something like that followed by “(which of course aren’t real)” sort of stuff. It’s really a shame because they can be doing really good work in other ways exposing some of the forces trying to oppress people. I definitely think you’re right in that people see the negative side of spirituality and then lump all spirituality into the same category, or they see people doing dubious stuff or obviously misleading people and so think all forms of spirituality are just made up. There also seems to be quite a lot of intellectual pride surrounding some of it where people think that the greatest awakening that can happen is mind, and then maybe look down on people who aren’t using logic and reason to understand the world around them – similar to the way that scientists often discount out of body experiences because they’re outside their normal pattern of thinking and perceiving the world. “It is very helpful and clarifies the things that we can do to best defend light and truth in this world, and how to stay on the side of light”. Well put, Gabrielle, you got it in one sentence. I really hope that many of us will join forces to not only speak out against the dark evil forces but to work on ourselves to achieve the standards required to really make a difference. I long to be free and be able to help in the freedom of others against this evil sinister web of wrong doing. Great article and perfect timing. Thanks Belsebuub. Thanks for highlighting these issues, Mark. I was just talking to someone yesterday about the symbols carved into St. John the Divine Cathedral and how there’s something very peculiar about the message carved into its walls and pillars. It’s a message of a destruction of civilization and the emergence of a new one, with references to religious prophesies from the past and a glimpse into what appears to be going to be the new world religion. Strange thing to carve into a church… But the thing that I found most concerning is that it seems pretty clear to me that this message is not coming from just a bunch of power hungry humans, but it has a very strong undertone of something sinister and of the dark side of the occult. The images displayed there appear to me to be of something you certainly see in the netherworlds – skeletons, skulls, bones, destruction, decay, and demonic figures controlling the masses. If this was simply the work of some people in power interested in creating a world better suited to their tastes and ideas, I imagine these messages would look somewhat different (unless they see themselves as the demons they depict, which I doubt). But instead, so much of these “teaser” messages/artwork is letting humanity know that it’s beyond just money and materialism, and that there are dark occult powers and knowledge involved steering society in a specific direction. Once you see this, it’s hard to unsee, and you really start to notice these things surrounding you and wonder when did it all begin? How did it get so far? Another interesting thing to note is that this one world religion is already well underway and is being “voluntarily” implemented by many religious organizations. The church I mentioned above (one that is backed by the UN and some very influential power figures from around the world) is currently mixing all kinds of traditions into a new version of religion (they call it The Temple of Understanding – a bit like The Ministry of Truth and Justice from 1984, isn’t it?). It is being transformed from a Christian one into a world-wide religious church, with rituals and ceremonies from all around the world already being celebrated and held within the church. Normally, I would view that as a pleasant thing and can see why people are accepting the notion with gladness – after all, why not celebrate the unity amongst all religions and traditions. But seeing what I see in the structure of the building (i.e. the symbols and messages built into it and the people supporting and thereby guiding the development of the church), I just see alarm bells. It seems like it is trying to steer people, baby steps at a time, into a different global religion, while adding elements of its own into the mix. For instance, amongst the many rituals being performed at the church, there is a ritual of the blessing of the bicycles (no joke). By looking at it in pictures, you can see huge crowds attending and participating in the blessing. To me it is a sign of mundane and watered-down practices infiltrating what was once meant to be a spiritual place of gathering. That is just one example, and there are many more I can think of, from all kinds of religions and traditions. This is happening in so many places, and I don’t think people realize what they are signing themselves up for. While esoteric spirituality is being censored from the internet and banned in various parts of the world bit by bit, those in power are having people instead attend a bicycle blessing at a church as a spiritual event… Not to mention that this is happening while they themselves are partaking in occult rituals of their own, away from public view. Thanks very much for sharing this with us. It is very helpful and clarifies the things that we can do to best defend light and truth in this world, and how to stay on the side of light. It’s one I had as a draft for some time and decided to publish it. If I hadn’t checked my drafts yesterday it probably wouldn’t have been published. I’ll put up another post I found tomorrow. Thanks Mark for publishing it. It’s great to see your knowledge and experience on these matters. I agree the anti-globalist movement does seem to have an anti-spirituality element which is disturbing, and falls in with the globalists’ aims. Lucky for us you checked your drafts! I have seen and read a lot of stuff that helps expose the darker machinations and agendas of society, however much of it has a warped view on the esoteric and as you pointed out, either champions atheism or religious ideology. I really appreciate this article as it helps to understand where spirituality fits into all this as it’s been sidelined in the truth movement and if it remains like this, then the hidden agendas of those pulling the strings will always remain concealed. Thank you Mark, now that is a great find! Mark, that is interesting about the drafts. That has happened to me with files, as well. I have gone through files after some time and found useful documents or things that I had written, but forgotten about. I guess it is worthwhile to go back through!